If you follow us on Facebook or Twitter you may have seen that I have recently bought a drone for taking aerial photos and video. Today I took the drone up from three different places around the old part of Umbertide. 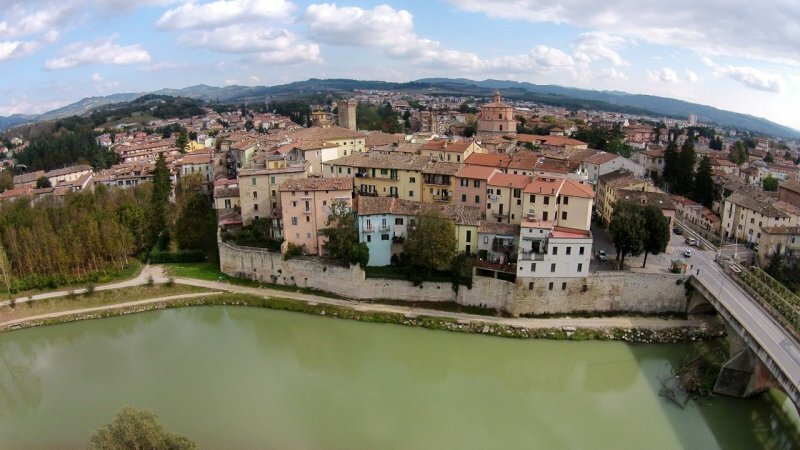 Umbertide is on the Upper Tiber and is a town familiar to many people who have stayed at our holiday villas, however, most visitors to the area will not have seen the town from the views in these photos!